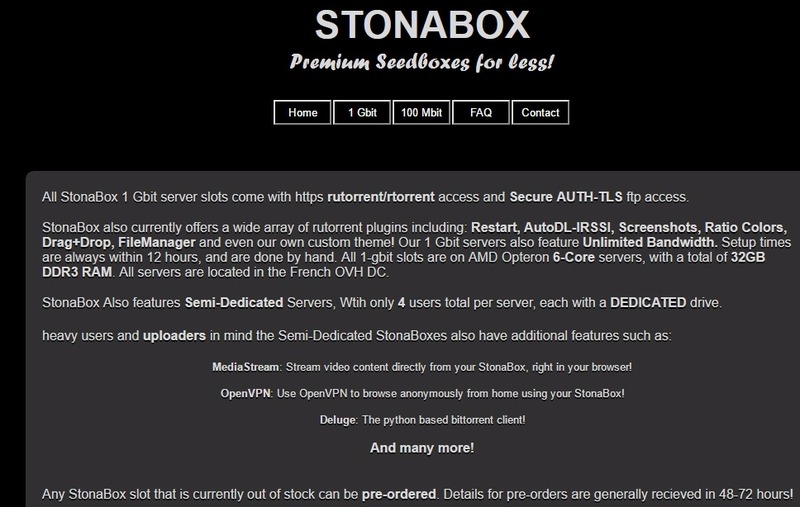 The 100MBIT HALF-DEDICATED 220GB/1GB RAM plan by Stonabox is a shared seedbox. It features 220 GB of storage space, a 100Mbps connection and has 10 TB bandwidth. You are allowed to run ∞ simultaneous torrents. The seedbox is hosted in France.